Sign up to try our beta web app. We will provide you with exclusive access. Thinking about unsubscribe? What if you have 200 brands to unsubscribe? Link your Gmail with Groota, and we will hide them from your inbox as if they never exist! 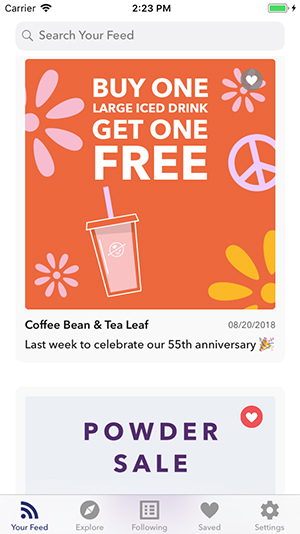 If you ever want to view promo emails, view them in Groota app. The app turns them into a custom, manageable feed so you can follow & unfollow them like you do on Twitter or Instagram. Are you going to peek into my personal emails? We only process emails under Gmail's Promotions tab. We have no interests in your personal emails and what your evil twin has sent you. Why do I see the option to follow some newsletters that are not from my Gmail? We pre-process promo emails and newsletters from thousands of popular brands and publishers, such as food recalls by FDA, or deals from restaurants (free taco anyone?) We believe some users might find them useful.